Everyone can agree on one thing and that is actions leads to results, and an action repeated over a long enough time frame will eventually form a habit. As the old computer adage goes; garbage in, garbage out, therefore if we have bad fat burning habits we invariably experience bad results in our weight loss! For example, if an individual were to have the habit of going to the gym for 30 minutes a day after work, eventually they would start seeing some good weight loss results, such as losing a few pounds. The real question then is for how long the habit in question has been in use for, because obviously a person couldn't spend 6 hours at the gym and see any results in one day! Past experiences, the ones and the bad ones are just learning opportunities for an individual to improve themselves. Consider what was learned from the experience and what actions can be taken in order to make an improvement. Plans can then be made in order to start forming the new habits that will lead to greater weight loss success. Sticking to any sort of weight loss program will be easier it is a part of a routine that you don't have to think about. Just think of someone gets to being overweight in the first place, they don't consciously think over indulging in unhealthy foods. Make sure that your weight loss routine is one that you can perform over the long, and not just some fad that will lasts a week. When it comes to routines, success breeds success, so the more 'little' victories you have the easier it will become to create bigger victories. Another tip would be to set realistic goals, after all if they aren't believable you are less likely to even start! It is harder to lose weight if you are focusing on all the things that you are giving up on especially if you are giving up on some of your favorite food. So it is my advice that you rather start focusing in some of the things you are adding to your life like, feeling fit, strong and healthier! Also make sure that you always celebrate all of your victories in order to build momentum towards your healthier lifestyle. 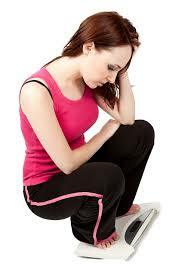 The more your weight loss program is your own the less likely you are to 'rebel' against it and quit on your diet! Make sure also that you add a 'cheat meal' into your routine at least once a week because after all you need to enjoy yourself a little as well. Do whatever it takes, within reason, to make your weight loss routine sustainable and pleasurable! It's always important to think long-term in-order for you to not only burn the fat off but also, more importantly, keep it off. Just remember to take little steps in order to keep your weight loss as manageable as possible! To celebrate, he has released his brand new book, 'Fat Burning Furnace' for free for a limited time only.